The Kobe 11 and KD 9 in Sparty colors. A perennial powerhouse in college basketball, the Michigan State Spartans will tip off the new season in Player Exclusive sneakers by Nike Basketball. 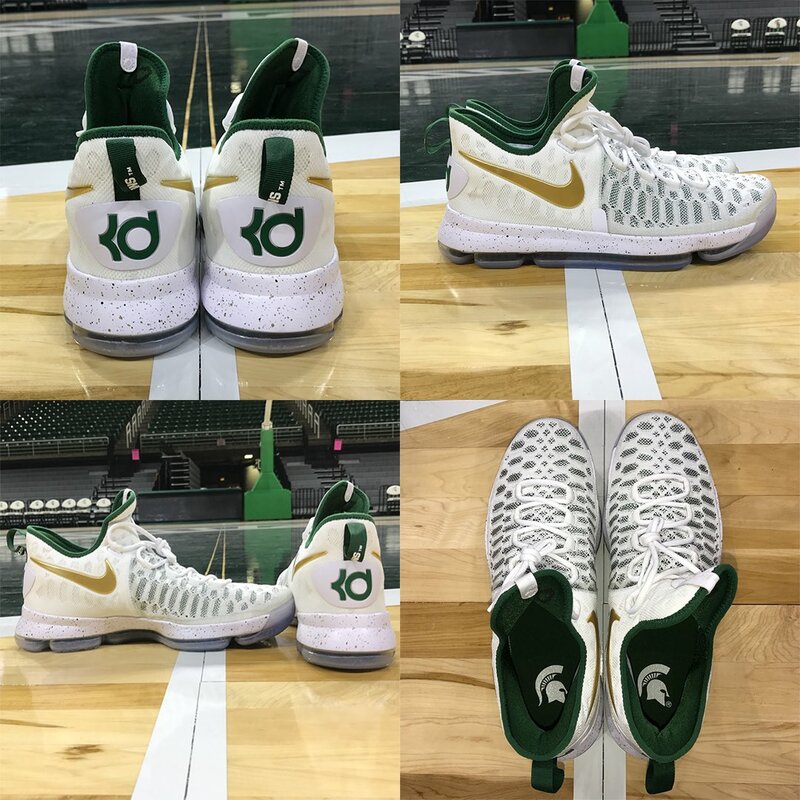 The hoop team recently unveiled the Nike Kobe 11 and KD 9 in Spartans-inspired colorways. Likely for home games, both shoes are predominantly white, with dark green and metallic gold accents. Each pair is also officially marked with Spartans logos. Michigan State opens the season against Arizona on Nov. 11.